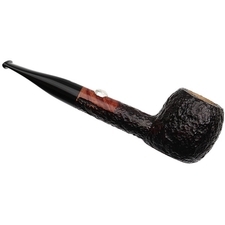 Savinelli's football edition pipe (we call is "soccer" in the States), commemorating the World Cup being held in June, 2018, in Russia. 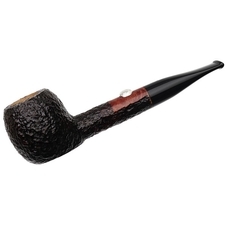 This pipe is a flat-heeled Billiard/Apple/Pot, with somewhat truncated bowl height and the representation of a soccer ball in silver on the top of the shank. Here we find it with a deep, black stain and jet-black acrylic stem.